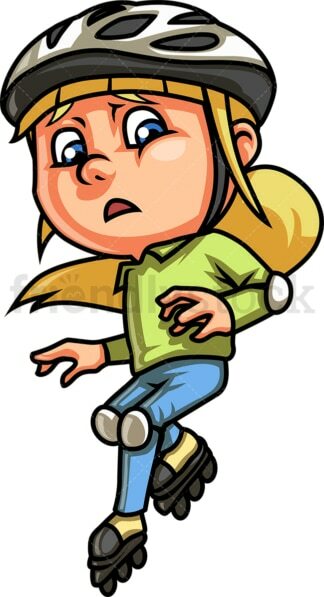 Royalty-free stock illustration of a little girl with blue eyes and blonde hair, wearing a helmet, looking worried and about to lose her balance and fall while on roller skates. Royalty-free stock illustration of a little boy with brown hair and blue eyes, smiling while running fast with his roller skates, wearing a helmet. 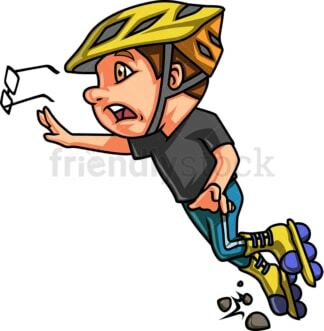 Royalty-free stock illustration of a little boy with brown hair, wearing a helmet, losing his balance and about to fall down while on roller skates, dropping his glasses and looking scared. 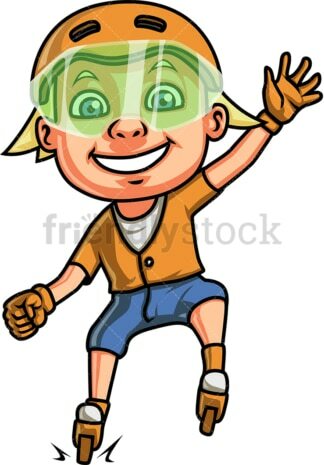 Royalty-free stock illustration of a blond little boy waving hello to someone while roller skating, wearing a helmet. 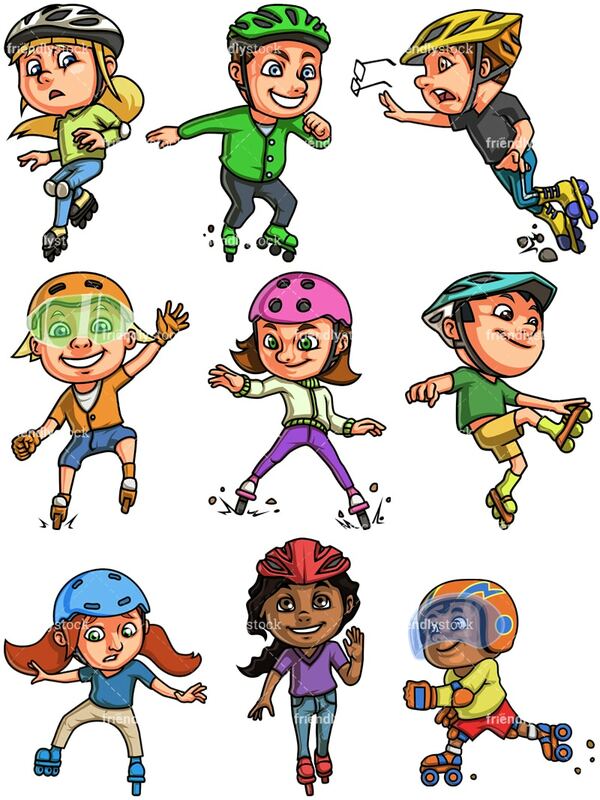 Royalty-free stock illustration of a cute little girl with brown hair and green eyes, on roller skates, wearing a helmet and doing a trick. Royalty-free stock illustration of a little boy with dark hair, wearing a helmet and performing a jump with his roller skates. Royalty-free stock illustration of a little girl with red hair looking nervous as she is trying to keep her balance while on roller skates. Royalty-free stock illustration of an African-American little girl with dark curly hair, brown eyes and a low ponytail, wearing a helmet and waving while on roller skates. 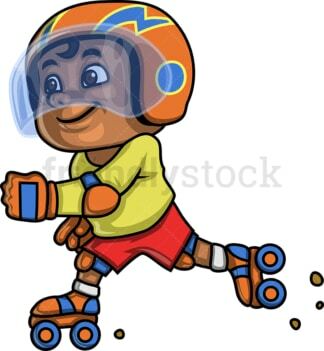 Royalty-free stock illustration of an African-American little boy with dark curly hair, wearing a helmet and running fast with his roller skates.